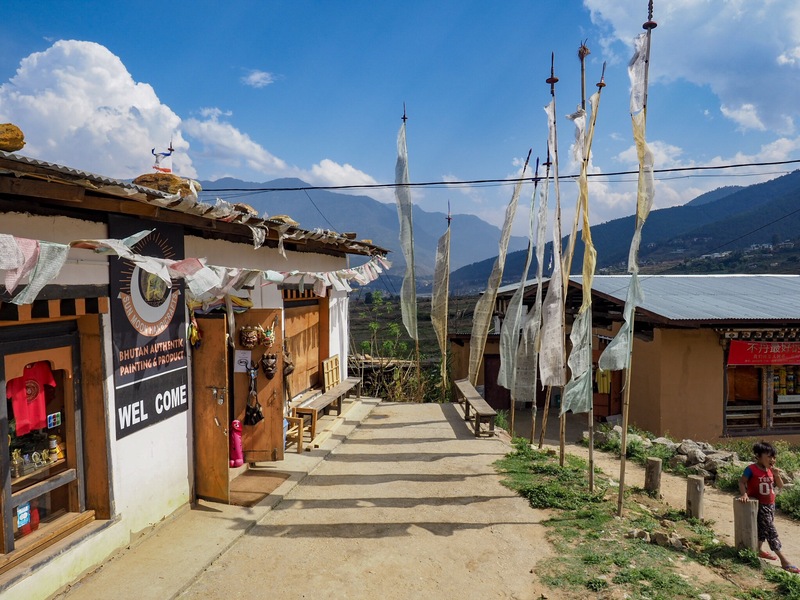 You are here: Home » The Fertility Temple in Bhutan Changed Our Lives! Infertility is one of those issues that no one really likes to talk about. We all like to think that when we’re ready to begin a family, conceiving a child will happen just as it’s supposed to. However, we all know that the grand adventure of life throws countless curve balls, and once we found out that adding a new little one to our family wouldn’t be as easy as we thought, it became all consuming. 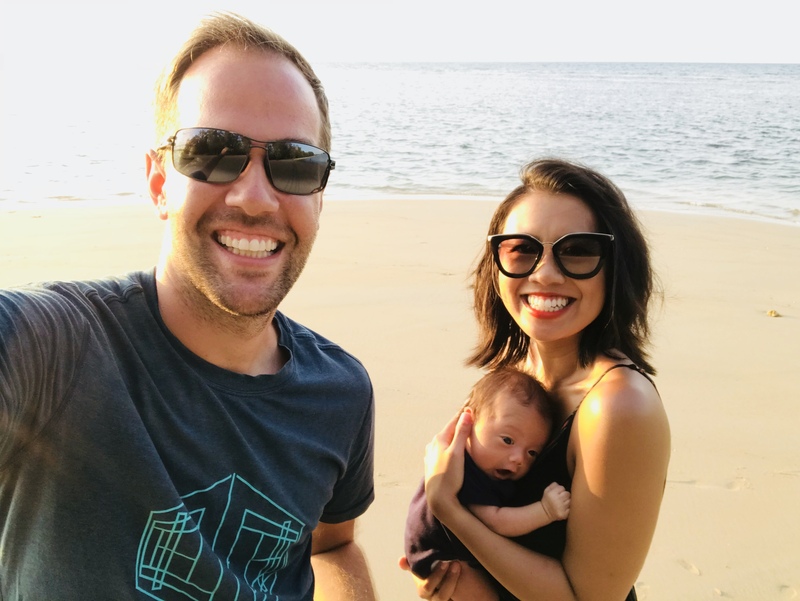 We had been struggling with infertility for a couple of years, and even though we knew it could always be worse it still didn’t make it any easier to deal with. It wasn’t just the endless trips to the doctor, or the fact that those trips generally ended in tears, but it’s the toll that it takes on you mentally that really makes infertility tough. Going to the doctor usually means having to take time off work – and no matter how supportive your colleagues can be there is always an element of guilt for missing time. It came to a point in our journey where we were willing to try anything. Traditional Chinese Medicine – we’re in! Fertility massages – yes please! Acupuncture, hormone replacement pills, no sugar diet, more exercise, less exercise – you name it, we tried it all. 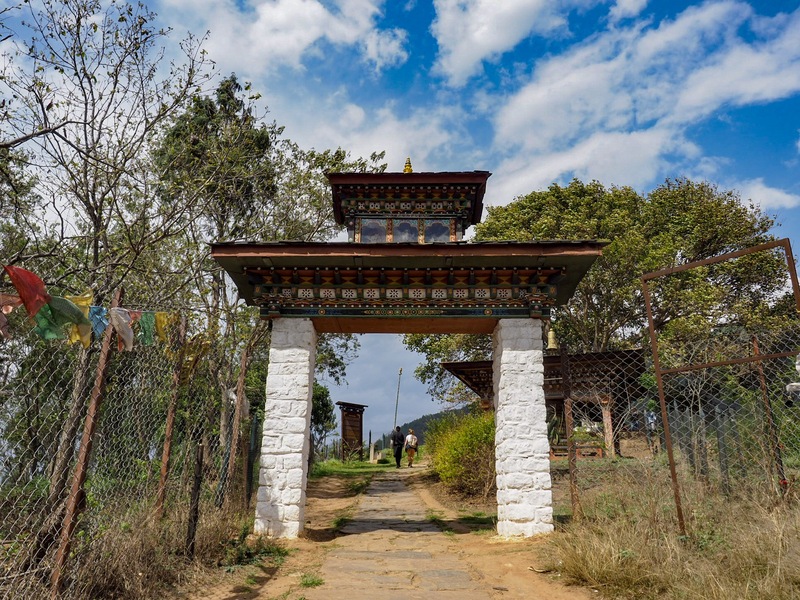 So, it was kismet when we found out that our itinerary in Bhutan included a stop at a famous fertility temple. Sign us up! 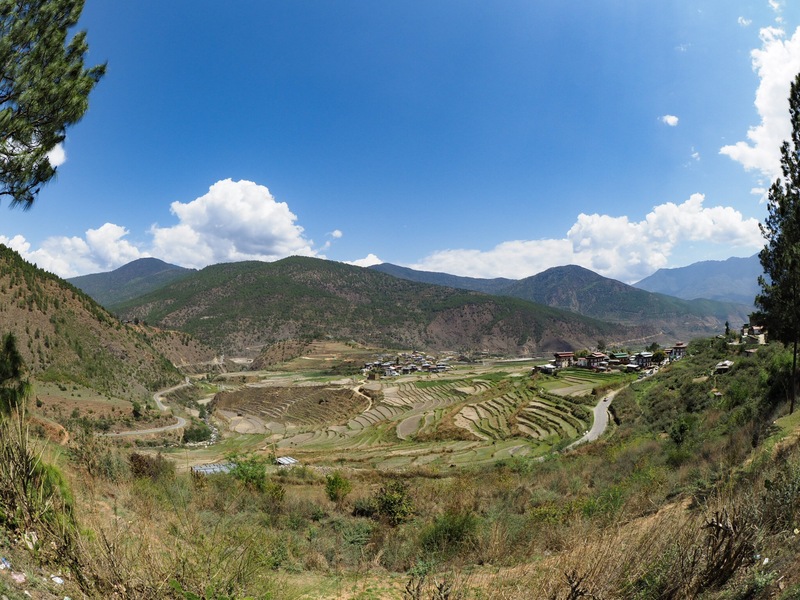 Fast forward to March 2017 and we finally made it to Bhutan, a country that had been on the top of our list to visit for ages. 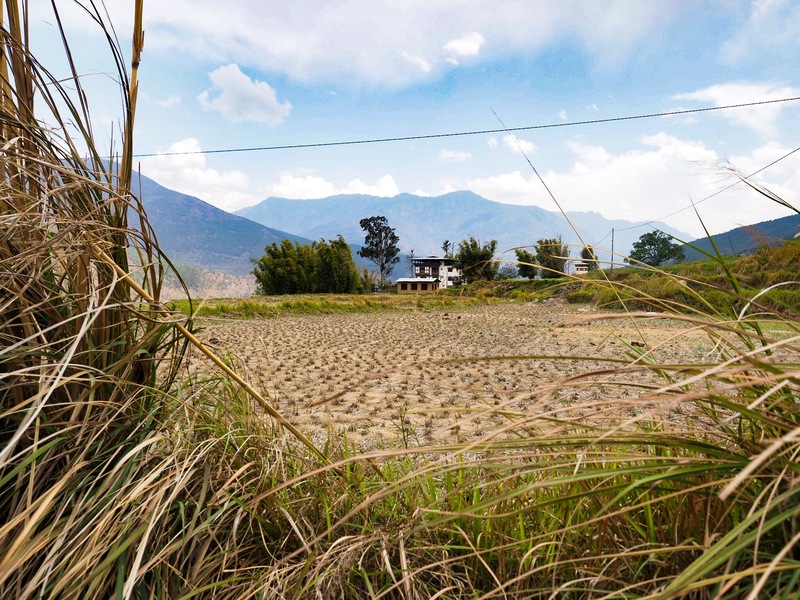 Chimi Lhakhang, also known as the fertility temple, is a Buddhist monastery near Punakha. 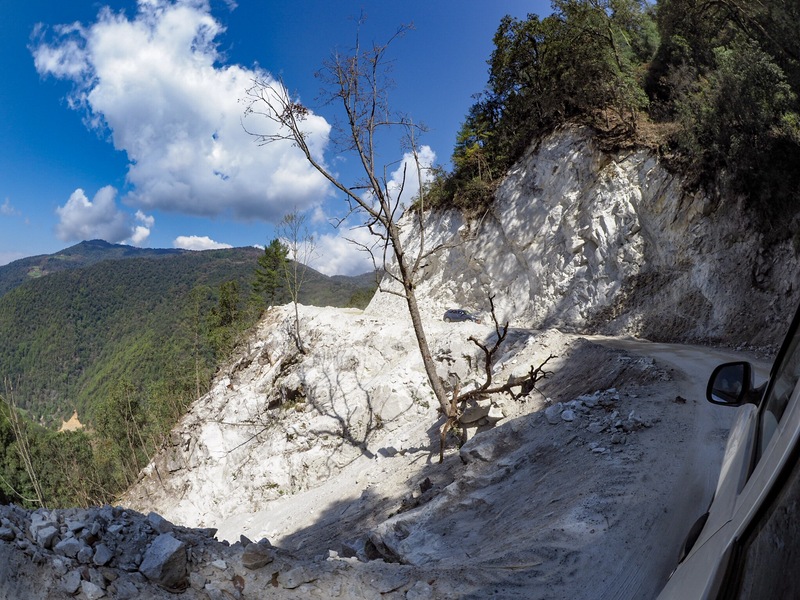 Getting to Punakha is an adventure in and of itself, as the cliff side roads are sketchy and not for the faint of heart. However, if you’re as serious as we were about having a baby, the fear of driving off a cliff shouldn’t keep you from visiting the temple. 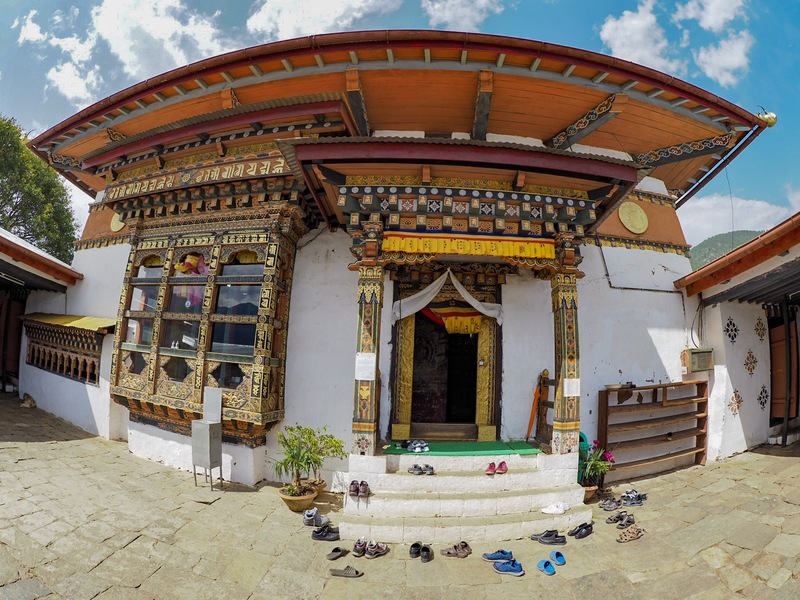 After all, rumour has it that Prince William and the Duchess of Cambridge visited the temple prior to conceiving, as too did Their Majesties King Jigme Khesar Namgyel Wangchuck and Queen Jetsun Pema of Bhutan. 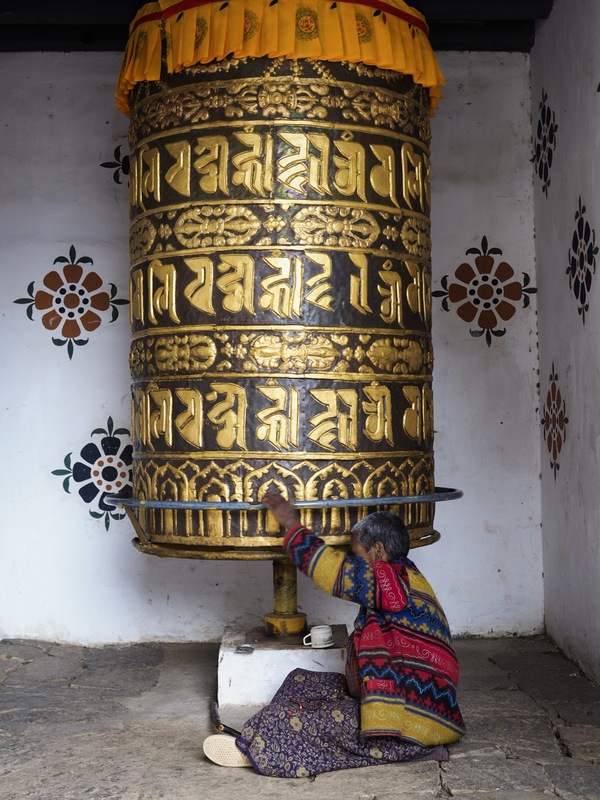 The temple itself is modest and simple, especially in comparison to many of the grandiose dzongs and majestic monasteries throughout Bhutan. However, we were serious about this baby making thing, so we weren’t about to judge the temple on its size. Our guide, Dorji, knew how committed we were, so he employed the services of a resident monk to guide Katherine through a fertility ritual. While Thomas looked through the book of past success stories, Katherine began the short but emotional phallus carrying ritual around the temple. At one point, she started to wonder exactly how strange she looked to an outsider. In fact, a small part of her (the immature side) wanted photographic evidence and a record of the exact size of the wooden phallus. On the other hand, there was something so exceptional about this particular experience, Katherine didn’t want to risk anything getting in the way of the magic. Maybe it was the humour in it – after all, carrying a giant wooden phallus is obviously not a normal everyday occurrence. Maybe it was acknowledgement of how much this meant to her and Thomas. Or perhaps it was the reassuring smiles and curiosity of strangers who witnessed her complete the ritual. Whatever it was, this tiny prospect of hope was enough to cause Katherine to really believe this might be the answer to their dreams. Upon returning from the phallus carrying journey, the next step was to roll a pair of 300 year old bone dice. After much deliberation and thoughtful analysis, several monks concluded that she rolled a 7, which was apparently great news because it meant we had an 85% chance of conceiving within 12 months! For extra measure, we requested the monk’s assistance in naming the yet to be conceived child. To do this, Katherine chose a small card at random from a stack – after which the monks huddled together to confer and interpret the meaning before presenting the name. When all was said and done, we donated a handsome sum to the temple to better our chances even more, and left wishing, hoping, and praying that the day’s good fortune would come true. Fast forward 12 months later, and here we are today – the proudest and most fortunate parents of Kinley (Kin•lay) Lee Hansen. It’s hard to deny the magic of the fertility temple when Kinley was born just 10 months after our visit. And while it’s easy to be skeptical, it’s just as easy to believe that this special moment in the Kingdom of Happiness really did play a part in the creation of our little boy. For that, we are eternally grateful and can’t wait to bring Kinley to Bhutan to add our own family photo to the album of success stories! Beautiful story and wonderful result! Thanks for sharing this miraculous story! Thank you so much Leah! We can’t wait for you to meet him!! So nice to hear this. Blessed couple, stay blessed always. Cheers! A wonderful lovely journey to conceive Kinley Lee Hansen. We are all blessed, you as parents and me as Kinley’s grandfather from Calgary. It is not for us to question how it came about and just be happy it happened. 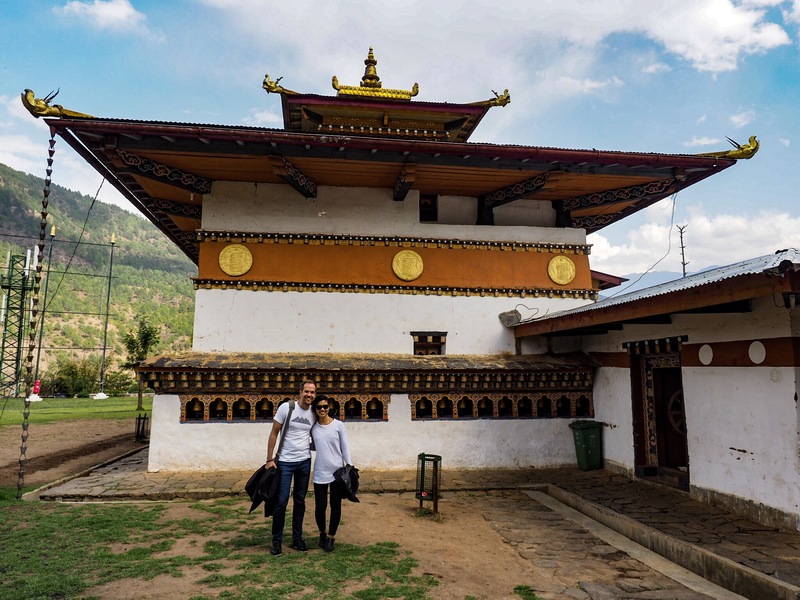 From fertility temple in Bhutan, born in Thailand of Canadian parents of Asian and Caucasian heritage, Kinley is indeed a global citizen. Thank you for the stories and photos. I am looking forward to many more stories of Kinley’s adventure with his globe trotting parents. Love, dad and granddad.